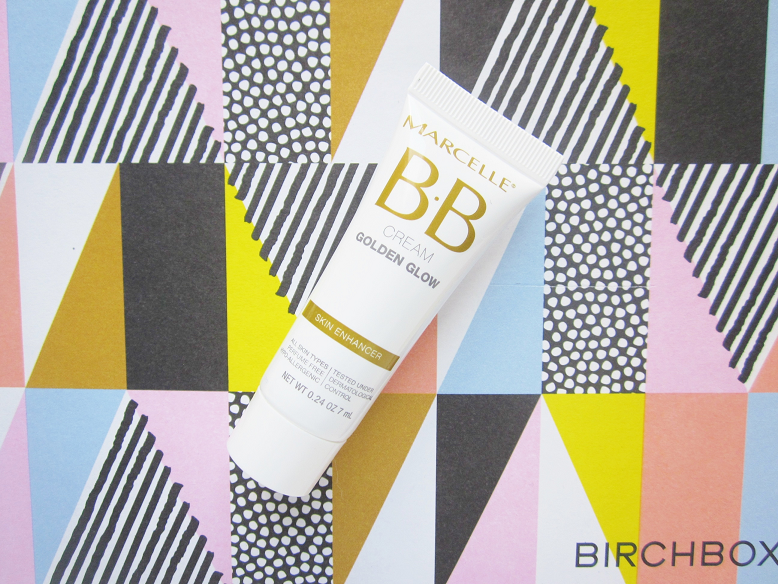 "Autumn may be just around the corner, but who says summer has to end?" 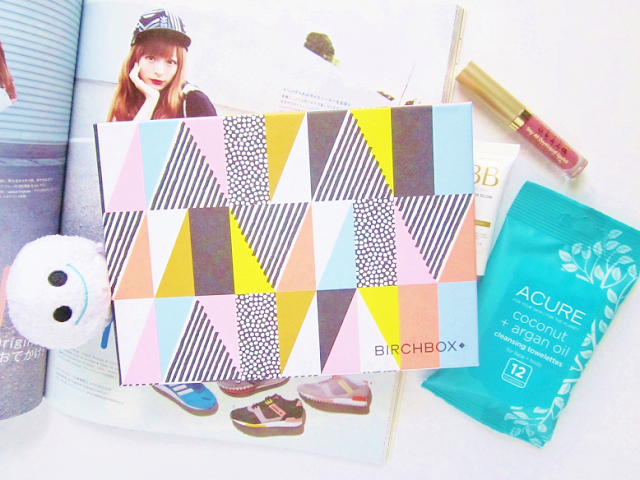 This month Birchbox filled the box with beauty treats to help carry on that summery feeling into fall. 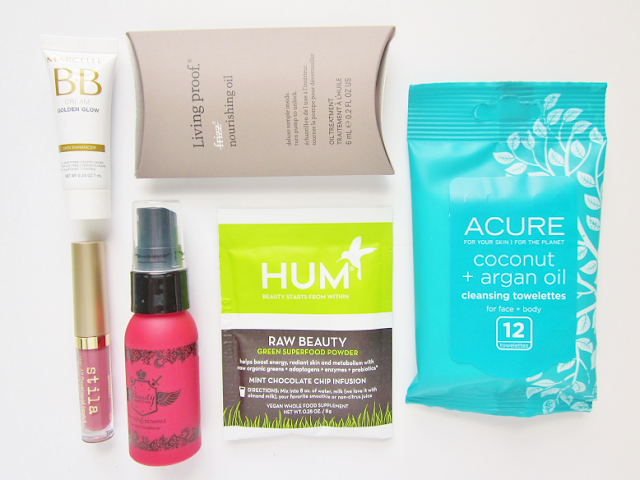 Again, I decided to pick the featured box instead of choosing my regular Birchbox and sample choice. I was really excited when I saw coconut oil-infused makeup wipes, a autumn colored liquid lipstick and a packet of a green superfood powder. 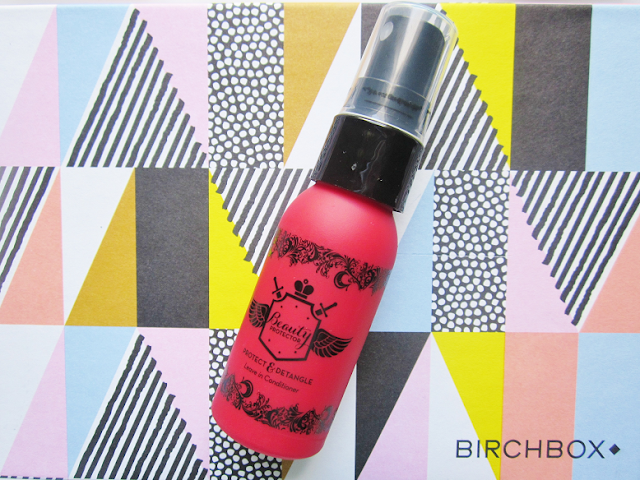 Let's take a look at what else is in my August Birchbox. This best-selling elixir locks in color, protects from heat damage, and adds silkiness while making hair smell amazing. Now that my hair is down to the middle of my back my hair is getting tangled like crazy! I don't own a detangler so this will be a new product that I will be adding to my hair care routine. 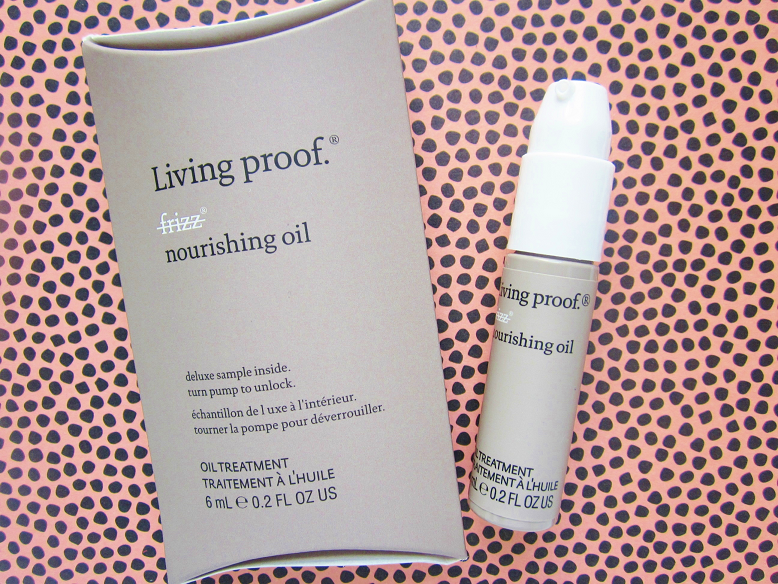 Featuring a fast-absorbing formula, this flyaway-fighting oil hydrates and smooths dry or wet hair. Not only is my hair long and knot-prone, it is also frizzy! The heat and humidity has made my curly locks extra frizzy this summer. 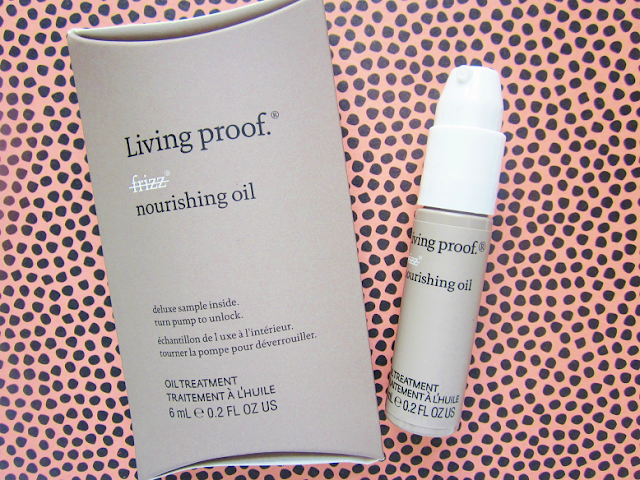 I've been using coconut and baobab oil to control frizz but I'm open to adding this one to my hair oil collection. 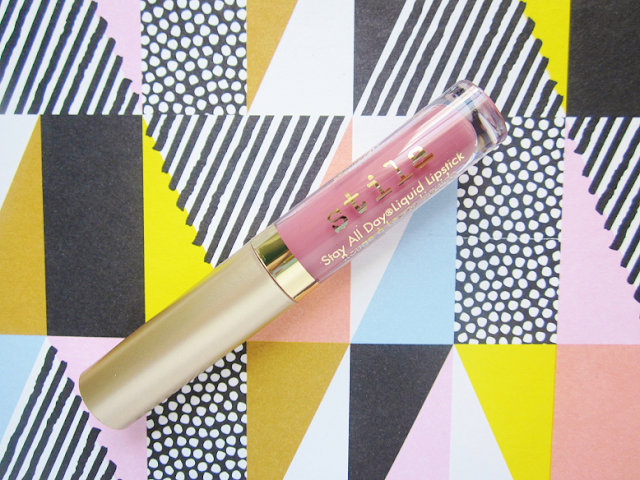 This creamy liquid lipstick glides on like a gloss yet lasts (and lasts and lasts) like a stain. Since trying the NYX Cosmetics Lip Lingeries I've been really interested in trying more liquid lipsticks from different brands. Patina, is a gorgeous rosy mauve color that will look lovely in both summer and fall. Gentle and biodegradable, these towelettes remove makeup and debris in a few easy swipes. I don't use makeup wipes as an everyday makeup remover. However, these are nice to have on lazy days when I don't feel like taking out my remover and cotton pads. 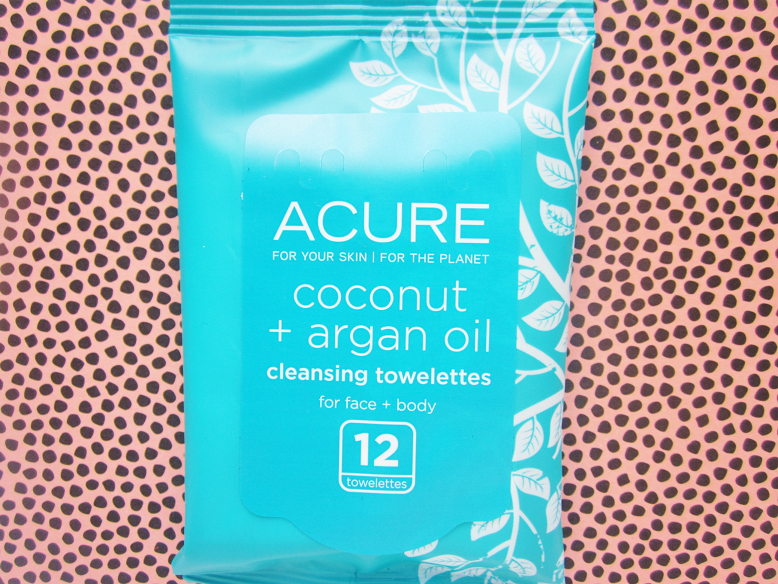 I love how these wipes are biodegradable! This multitasking BB cream gives your skin a golden glow while controlling shine and masking imperfections. 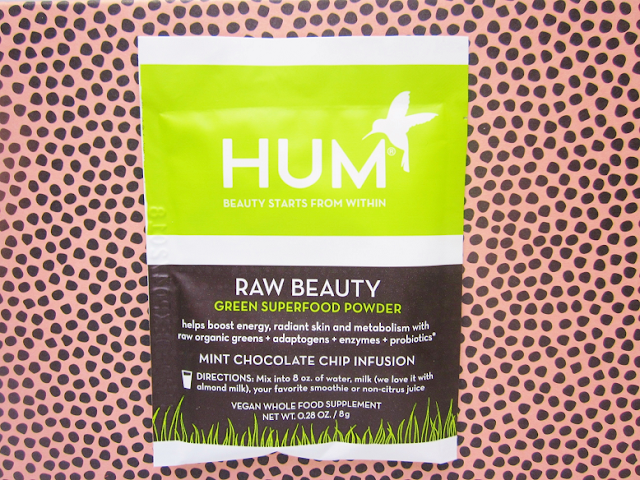 We've added in this energy-boosting powder that harnesses raw organic greens, enzymes, and probiotics to support healthy skin. Last but not least! I first heard about this powder from a vegan youtuber (can't remember her username). She used this powder to create a vegan mint chocolate ice cream. I can't wait to try the recipe myself! 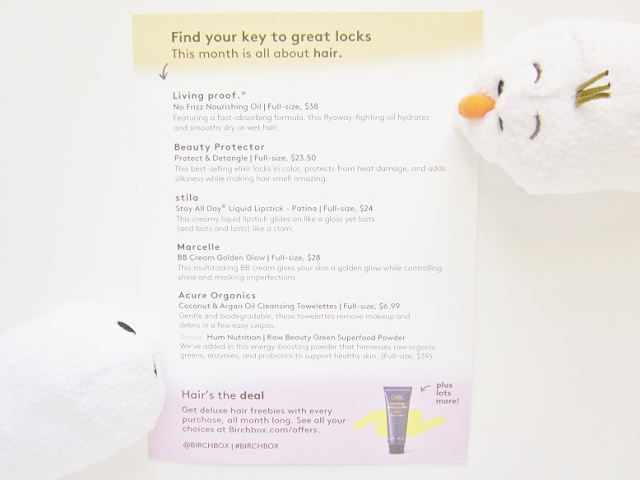 What Birchbox did you choose this month?